Editor's note: Today’s guest blogger is Christopher McClure, IT director of the town of Hopkinton, Mass., home to the Boston Marathon’s starting point. 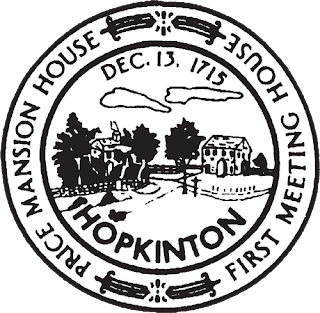 Here in historic Hopkinton, Massachusetts — affectionately known as the starting point of the Boston Marathon — our small town’s civic-minded citizens are thirsty for information about local events and news. Until recently, though, they had to get it through word-of-mouth and phone calls to city offices, which was slow, inefficient and frustrating. Communication between police and fire departments, schools and town offices, and boards and committees was fragmented. Documents were siloed. Collaboration was limited to sending emails. We were wasting time tracking down information and weren’t working together as well as we knew we could if we had access to the right tools. That all changed when we moved to Google Apps two years ago. Now, our officials and citizens are getting the information they need, when they need it, and we haven’t looked back. Drive in particular has been instrumental in creating a hub for storing, finding and sharing information. City employees, firefighters and police use Drive as the central storage for files ranging from PDFs to JPEGs, Word docs to videos, and for everything from meeting agendas to department staff lists, and from research reports to contracts. Our firefighters recently used a Drive shared folder as the main repository for all files involved in a recent study on consolidating firefighting resources among our nearby communities, so everyone involved could access key files, whenever they needed them. Our police department uses Drive to share policies and procedures among officers, since it’s so easy to pull up files whether they’re on their Android devices in the field or on their laptops back at headquarters. Hangouts play a similarly major role in supporting our town’s governance. Officials use Hangouts to go over town budgets together, so they can review the numbers in Sheets while being able to see each other face-to-face. Just recently, we hosted a town meeting and used Hangouts to connect everyone from remote locations. We worked through and discuss all the motions, amendments and documents that had been distributed to citizens through Drive, Google Groups and Google+, all while feeling like we were meeting in person. Hangouts also helps in emergency planning. Our fire department recently held a Hangout to discuss our “code red” plan, and everyone involved was impressed with both the ease of use — getting connected instantly just by clicking from the invitation in Google Calendar — and the strength of the sharing function, especially compared with past experience using Skype and GoToMeeting. Google Apps has made sharing news, documents and updates with both our staff and citizens a breeze, and the impact is real and powerful. Not only are employees and residents happier, but we’re seeing quantitative results, like the 50% drop in call volume to the police and fire departments during Hurricane Sandy due to the ability to post emergency information to a public Google site in real-time. Going Google with Apps and Drive has made our town more than just the starting point of the Boston Marathon — it’s become the model of a beacon of information for citizens everywhere.